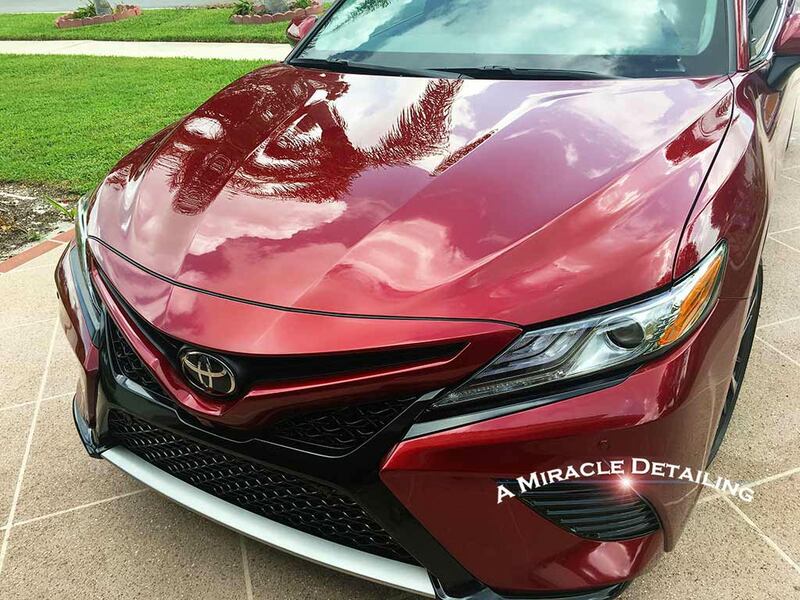 Thread: Thoughts on New Camry ? 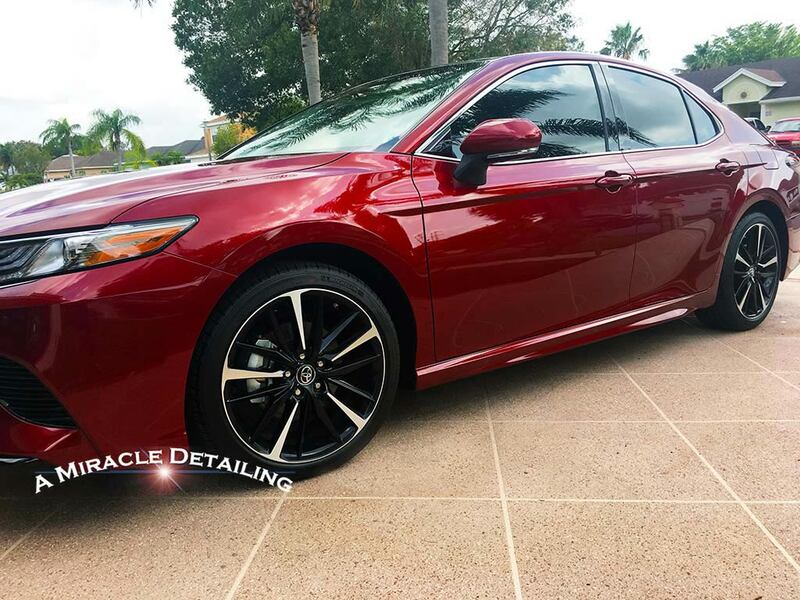 Re: Thoughts on New Camry ? I was thinking of a smaller car like I have now, I really like the mgp it gets even on mostly shorter trips. I had a midsize last time and miss it. I was looking online and decided to look at the Camry since I noticed a few of them on the road. The styling is a bit different on the SE, like some of the Lexus models, it`s growing on me. I see the Camry has a 4 that gets great mileage, that got me into looking at them instead of a smaller car. Might I suggest the VW Golf? It might look small, but the interior is surprisingly roomy and with the back seats folded down there is a ton of room to put stuff. The 1.8T engine is excellent and gets good fuel economy (the 2.0T in my GTI can get 38-40mpg on the highway). Right now you can pick up a new one for super cheap. I would also pick the VW GTI. It’s got tons of useable interior space, a great warranty, and it’s a hoot to drive. They Camry (4 cylinder) would be too underpowered for me. The 6 cylinder with 300 hp would be nice, but then you lose the great gas mileage. Do people cross-shop Camry vs. Golf? I`d think more "Camry vs. Jetta" since IMO you want a hatch or you want a three-box sedan. While I`d probably prefer the Jetta, I bet a Camry with the 6 would outperform it by a huge margin. Nizmo- IMO you have the best of both sensible-small-car worlds covered quite nicely! Oh the V6 is a rocket ship for sure! In a strait line it`s capable, but even with the SE trim cornering can be sketchy. I have to remind myself it`s not the GTI driving around the mountain. Although alot of the problem is the factory Bridgestone tires. I`m sure with proper rubber it will be better. The I-4 is adequate for most people, but fuel mileage might surprise you, as we struggle to get 30mpg not even beating on it. The transmission is always trying to lug around to get economy, but I believe it does the opposite. I`ll stick it in sport mode with 4-5th gear lockout if I`m not on the interstate. The stiff seats really bug me and start to get uncomfortable after an hour driving strait. I might just be used to the seats in my VW. Everything else about the car seems fine to me. I never cared for VW, I can`t say why ? We have the 170HP 2.5 AR-FE 4 cylinder. Our "highway" is typically 55mph state roads, but I have driven the PA turnpike several times and it still netted around 30mpg traveling 80mph. I personally feel it`s underpowered, but I normally drive a turbocharged hot hatch, so I will say I`m biased. It`s kind of ho-hum till about 3K rpm`s when the variable valve timing kicks in. I can understand not caring for VW, I used to feel the same way until I was shopping smaller sedans at the time I bought my 2008 Jetta. After that car I was hooked. I do suggest possibly taking a look, although I would avoid the new 2019 Jetta as they cannot get the new 8 speed automatic right. I guess a direct comparison to the Camry would be the Passat. Those have the detuned version of the 2.0T. A brand new R-Line (well equipped I will say) can be had around $19K. 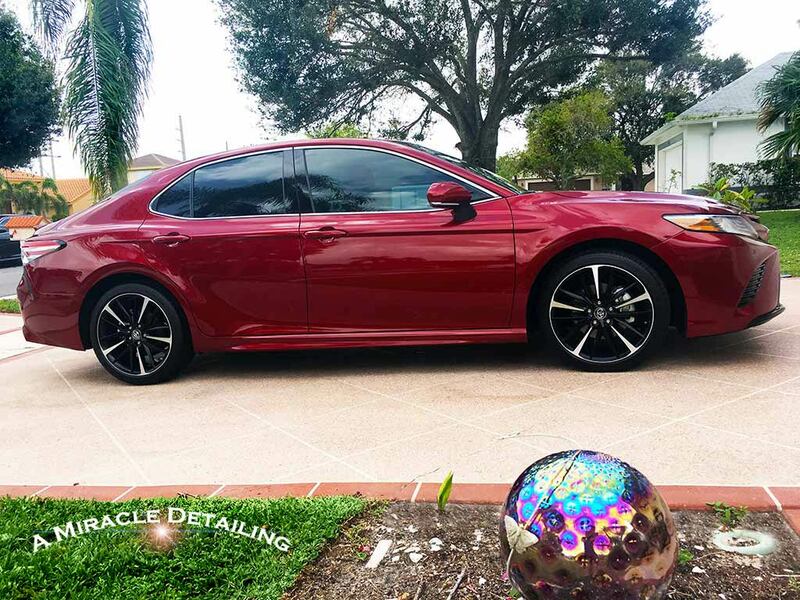 A new Camry SE is around $26K, while it is a nice car, I like a little more "bang for my buck." The only reason we bought our Camry is they had $5K off of it as it had been sitting at the dealer for about 4 months. Had we done it again we would have bought a 1.8T Golf (although after driving my GTI for a month it might be a GTI with a DSG, verdict is still out on that, LOL). But all said and done, the Camry is a great car, I just have different driving characteristics. 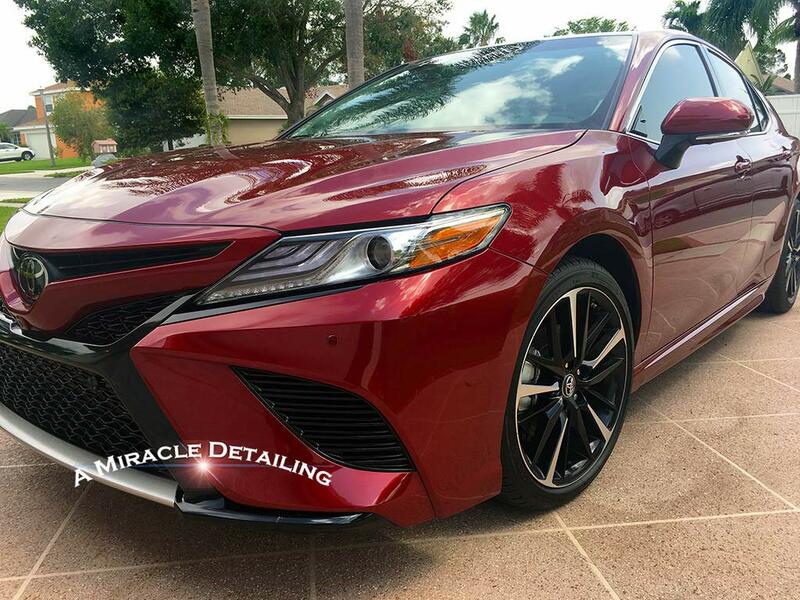 The 4 cyl Camry will do what you need it to do but won`t be making you smile doing it,,except the reliability,the fuel mileage and the fact it will do it for 200k+ miles pretty easy with proper maintaining which I don`t think will a problem with anyone here. I have a 2010 Accord 4cyl which has a lot less power than my Limpala had but it doesn`t break every 5 to 10 k like the Impala either,,I`ll take the tradeoff. I bought mine as a trade in at the Chevy dealer I work at w/94k for a few thousand below book. I grew up with VWs having probably 15 to 20 of them,mostly diesel Rabbits with a GTI,GLI Jetta and a Scirocco thrown in there along with a Rabbit truck or 2 and I worked at a VW dealer as a tech and detailer. I just prefer Japanese cars for their ease of working on. 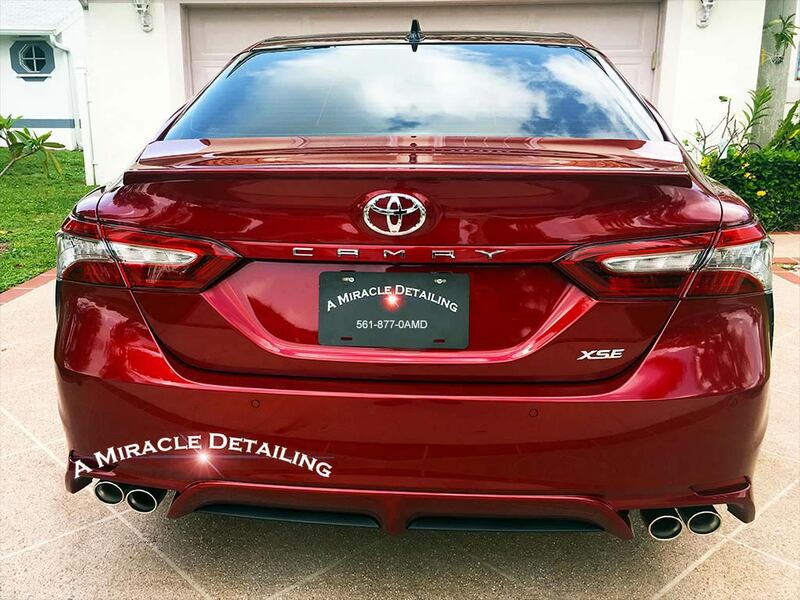 You would be hard pressed to go wrong with a Camry. I agree with others in that you should seriously consider new vs used. The four banger may please you at the gas pump but the V-6 will put a stupid grin on your face. The six is surprisingly easy on fuel considering how stout it is. I have a ten year old RAV4 with the V-6 and it still gets 28-29 highway with the A/C on. In town is 19-21. 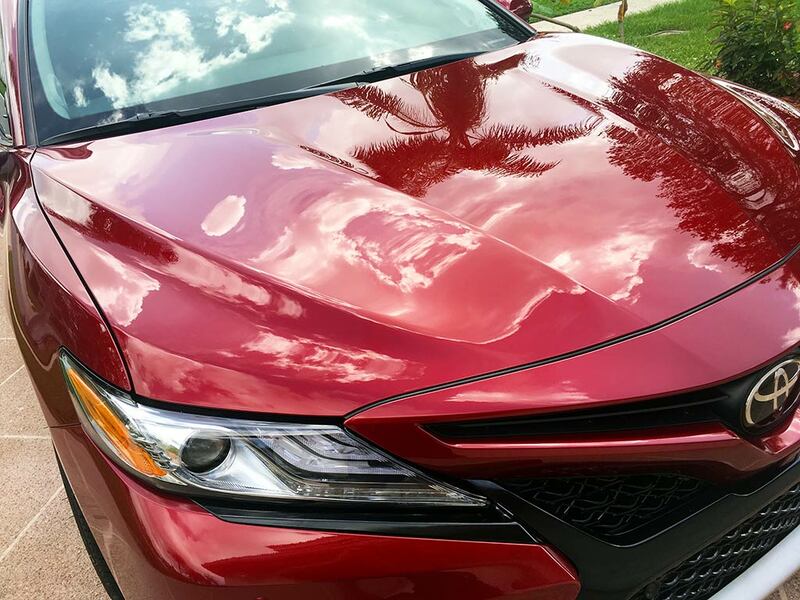 The Camry will easily exceed both. There in nothing wrong with a new Camry 4 cyl.It has a 203 HP, which should be good enough for anybody. I have a Ford Escape with has a V6, with 200HP. The 4 cyl Camry has 3 more HP then the Ford V6. The Ford gets 22 mpg, the Camry get 30 mpg. It all depends what your priorities are. Mine are power and overall performance. And looks are a concern for me,too. If I hate the way it looks,I don’t care how it performs. Case in point-Tesla. I don’t like the exterior or the interior. They’re rockets,but I want the intake and exhaust sounds from a high-horsepower IC motor. I’m going to try and burn as much 93 Octane as I can before I get too old to enjoy it. There in nothing wrong with a new Camry 4 cyl.It has a 203 HP, which should be good enough for anybody. No one said there`s anything wrong with the four banger engine....it is adequate. I guess I`m not anybody because adequate doesn`t cut it for me. The 2018-2019` models have the new body style which has a similar "look" to a Lexus IMHO. 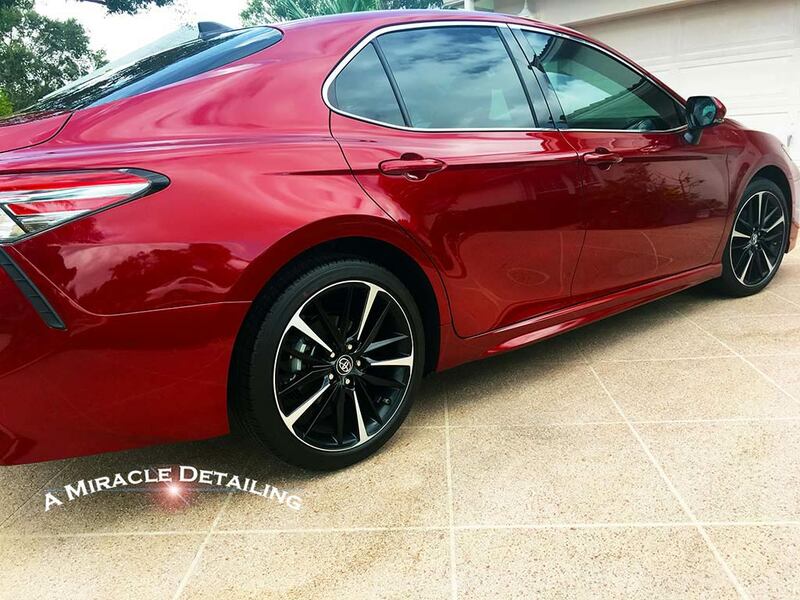 The paint is medium (on a soft/hard scale) and has a nice factory gloss and shine. It`s an easy vehicle to get in and out of. No twisting/squeezing needed for exit/entry. I don`t care for the proprietary head unit. I`d prefer Apple Car Play/Android Auto. IMHO it is a good daily driver but for the happy foot folks, I`d go with the 6 banger. I am not sure about those in US markets, but those here in JDM are absolutely terrible in material and build quality. Interior is filled with filmsy plastic and exposed nuts / bolts. Also, the trunk opening was very small it is hard to load large items. Noting that "industrial build-quality" doesn`t bother me in my Crown Vic...I`ll be interested to hear whether the Export/JDM cars are the same in that regard. I`d kinda doubt it. Not that I`d even *rent* something that looks like that if I had any other option. Though, OK...it`s sure no worse than some recent Hondas. How`s the front end on the Crown Vic? When we had them, the ball joints and tie rods would fail between 15-18k. Like clockwork. On every one of them. Of course, that`s running them 24/7 year-round on big-city streets. They also had a problem with some weird evaporative emission lines at the back of the car,(aft of the gas tank) that would get jarred loose and drag on the pavement. They were pretty good in the snow since they were so underpowered. That helps when you have 4 mis-matched tires and at least 2 of them are worn down to the wear-bars. The A/C worked nice, though. Older- Yeah, the uhm....mode of service...can make all the difference. I`ve never had balljoint/evap line/etc. issues with mine, but can sure understand why they`d happen (such stuff simply *kills* other LE vehicles, at least you can fix the CVs). The current car was a DoJ/BoP car out of Texas (found a service receipt behind the glovebox during my new-to-me inspection), got it with <20K and no bad history, just lots of stonechips (and some bad repainting related to same) from the limestone access roads at the Club Fed. Yeah, it`s a real ringer, took me over three years to find it..exactly the one I always wanted. Heh heh, sounds like you had to "just get by" when it came to winter; here the LEOs get 4 snows on the sedans (but not the new AWD SUVs). Yeah, big long-wheelbase cars can be great in the snow, but I don`t drive my P71 in the salt, no real reason to and I`m keeping it in "never driven in salt" condition. I don`t want rust, even surface rust, to get going down there.